Overdose deaths nationwide have quadrupled since 1980. More overdose deaths are caused by prescription drugs than all illegal drugs combined. Opioid drugs are important medications for the treatment of pain, opioid dependence, and terminal illness. But, these drugs also have the potential to produce physical dependence, abuse, and addiction. Opioid drugs include heroin as well as medications available by prescription such as oxycodone and methadone. This major health concern affects a diverse group of individuals, across all categories of race, class and geography. Every year, 16,000 people die of accidental opioid overdose, but most opioid overdose deaths are preventable! Do you use opioids yourself (prescribed or not) or are you worried about someone who does? The following information will help you avoid an overdose or support someone else who might be at risk. What are some common opioids I may have heard of? What are some addiction warning signs to watch out for? What are some tips for patients with pain medication? What are some of the signs of an opioid overdose? How can I prevent an accidental overdose on prescription opioids? What are some general high risk situations and how do I reduce the risks? How can I tell whether it’s really an overdose? How should I respond to an opioid overdose? Where can I find more information and learn about treatment options in my area? The Clearinghouse provides free health promotion materials for Massachusetts residents, health care providers, and social service providers. 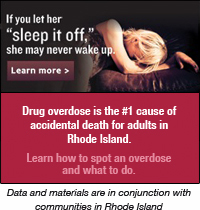 There are many videos available online addressing opioid overdose prevention and response. Techniques include identifying and overdose and responding by calling 911, administering rescue breathing and naloxone if available. “Opioid Medication Safety: The Role of Naloxone” This film includes basic information on opioid safety and instructions on rescue breathing and naloxone administration specifically for pain patients and their caregivers. “Staying Alive on the Outside” Reentry is associated with increased risk of death by drug overdose, often due to a loss of drug tolerance during incarceration. This film includes information about preventing, identifying and responding to an opioid overdose with naloxone, a safe, effective overdose antidote. The film includes personal stories about overdose risks after leaving jail or prison. Used in emergency settings for decades, naloxone reverses opioid overdoses without any side effects beyond opioid withdrawal. With brief and basic training patients and their families can be trained to efficiently identify the signs of overdose and administer naloxone, along with calling 911 and offering rescue breathing. In Rhode Island, overdose prevention and response trainings with naloxone are available at Community Access in Providence. Call (401) 455-6879 for more information. Opioid drugs are important medications for the treatment of pain, opioid dependence, and terminal illness. But, these drugs also have the potential to produce physical dependence, abuse, and addiction. Opioid drugs include heroin as well as medications available by prescription such as oxycodone and methadone. Opioids work by blocking your brain’s sensation of pain. They can also affect the pleasure center of your brain, causing a sense of euphoria. When taken as directed, opioids can be very effective in relieving pain. However, the body soon begins to develop a tolerance for the medication, so that the same dose of medication offers less pain relief. If you feel the need to take more of the drug than was prescribed to you- Talk to your doctor! Opioid overdoses happen when there are so many opioids overloading the body that the brain shuts down breathing. This happens because opioids fit into specific receptors in the brain that have an effect on breathing. If someone can’t breathe or isn’t breathing enough, then oxygen can’t get to the brain and after a very short time the heart stops, which leads to unconsciousness, coma, then death. The lack of oxygen from slowed or stopped breathing is the key dangerous aspect to an opioid overdose. Vicodin, Percocet, OxyContin, Oxycodone, Methadone, Morphine, Opana, Dilaudud, and Fentanyl among others. 1. Know what you are taking: Go online to http://www.drugs.com/pill_identification.html to learn what pill you are taking, and the dose. 5mg of Vicodin ≠ 5mg of Percocet ≠ 5mg of Methadone. Know the difference between short-acting, long-acting, and extended release. Extended release contains more of the drug and lasts longer. 2. Avoid mixing opioids with alcohol and other drugs: Do not mix opioid medications with alcohol or other drugs. Drugs with the same effects (i.e. downers like opioids and alcohol) can dangerously slow breathing. For drugs with opposite effects (like taking opioids with stimulants), you may take too much of the downer because you can’t feel its full effects. 3. Know your tolerance: If you have a period of not taking your prescribed opioid and then start taking it again talk to your doctor first! It may take less of the medication to have the same effect. Also, if you are sick, tired, haven’t eaten, or have lost weight, your tolerance may be lower. 4. Avoid using other than as directed: prescription medications can take a long time to have their full effect. Keep this in mind if you think the medication is not working fast enough. Never chew, cut, crush, or dissolve opioid tablets or capsules and talk to your doctor if you need to take more medication than prescribed to get pain relief—you may need a different dose or type of medication. 5. Remember: Always follow proper dosing and let your doctor know if you are in drug treatment or are taking any other medications! 1. Mixing drugs —Drugs with the same effects (opiates and other depressants such as alcohol) compound respiratory depression. Drugs with opposite effects (like speedballs); if the upper wears off or prevents you from feeling the effects of the downer, you might end up doing more of the downer than you can handle. Avoid mixing drugs – especially opioids, alcohol and benzos. Know what to expect if you do mix. Start with a lower dose or do a “test shot” to taste the drug. 2. Using alone, by yourself – this is one of the most common reasons for overdose deaths. Avoid using alone. Use with friends if you can, or, use in a quiet room by yourself but with people in the next room. If you do use alone, keep a cell phone with you and leave the door unlocked. Talk with friends and family about responding to an overdose. 3. Lowered tolerance – any period of abstinence, even one day, can lower tolerance. Coming out of jail, detox, drug treatment, a sober house, etc, puts you at higher risk. If you’ve just moved, if you’ve gotten drugs from a new dealer, or the dealer gets a new batch, the drugs may be stronger than what you’re used to. If you are sick, tired, haven’t eaten, or have lost weight, your tolerance may be lower. 4. Personal Health and History of Overdose — Any respiratory troubles such as smoking, COPD, emphysema, asthma, sleep apnea, respiratory infection, or other respiratory illness make it harder to breathe, and make it likelier that your breathing will stop. HIV/AIDS, Hep C, Renal dysfunction, hepatic disease, and cardiac illness increase your chances of overdose. Being sick, tired, or not having eaten increase OD risk as well. Having overdosed in the past is the greatest predictor of a future overdose! Be aware of reduced tolerance – Be aware of changes in your health or your weight. Be aware after a period of abstinence, for any reason. If you start again your tolerance will be lower. 5. Purity/Dose – The purity of what is on the street isn’t always known. If you know that you are switching to a stronger/pure drug/pill it’s important to not rush it. If you are taking pain pills at a high dose and/or are taking long-acting opioids like Oxycontin or fentanyl, stick to your prescription if you have one. Start low, go slow if you have picked them up without a prescription. If you see a doctor, talk to them about overdose risk. Look (is their chest moving? ), Listen (with your ear to their mouth) and Feel (with your ear to their mouth is there any breath on your cheek?) to see if the person is still breathing even slightly. If they are breathing even a little, but are not responsive, you can help with rescue breathing. Do a “chest noogie”- take your knuckles and rub roughly on the center of their chest. If a person isn’t overdosing, they will respond to the pain. If they don’t respond, itis likely an OD. Even if you don’t think it is quite an overdose, don’t leave them alone. Stick with them for a few hours and keep an eye on them, because there is always the chance that a real OD could develop. Signs of an overdose include slow or shallow breathing, pale and clammy skin, snoring or gurgling while asleep and unresponsiveness to yelling or physical stimulation. If you suspect that someone may have overdosed call 911. Additional steps you may take include rescue breathing and giving narcan, if available. 2. Call 911 right away – Give them the address, tell them your friend is not breathing, stay calm and follow their instructions. a. Make sure nothing is in the persons mouth. b. With one hand on chin, tilt head back, pinch nose closed. Make a seal over mouth and breathe in. 1 breath every 5 seconds. Chest should rise, not stomach. c. Continue rescue breathing until Rescue arrives. Tell them what the person took, how much, and any other information that could help save the person’s life. 4. Evaluate and Administer Naloxone if available. Narcan is a prescription medicine that stops the effects of opioids and restores the victim’s breathing. Narcan may save their life but must be given quickly. They may need more than one dose. 5. If you’re alone and have to leave the person at any time, put on their side so that they do not choke. 6. Stay until the ambulance arrives (this is best), or leave the door open.